A family day you’ll remember forever! Whether you bring your partner, daughter, son, mum, grandad, cousin, your neighbour, and even your best friend, your team will have great fun taking part in activities suitable for all generations and abilities. 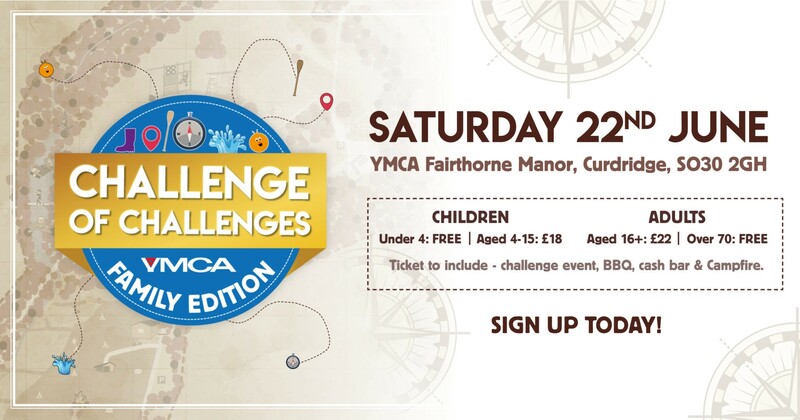 All you need to do is bring brains and brawn as we join together to complete a mystery course of imaginative, occasionally messy, and often daft, obstacles and puzzles, while raising funds to give local vulnerable children and families opportunities to lead healthy, happy lives. Your team’s tickets include participation fees, medals, parking, BBQ, campfire, changing facilities and showers. Please note the bar will be cash-only. Because this event is designed to raise funds, we will also ask you to raise sponsorship for your team to complete the Challenge of Challenges but there is no minimum amount that we expect you to raise: any support you can offer will help. Why not make this a weekend away for the family by booking our hostel-style B&B accommodation for just £18.50 pppn, or book a pitch on our campsite (additional charges apply). We are very happy to hear from you. If you have any questions, or if you are interested in helping out on the day, please contact Corin Ball at [email protected]. In addition to having a fantastic time, your incredible fundraising efforts will help transform the lives of those children, young people and families who don’t have the same opportunities in life that most of us take for granted, such as a safe place to live, good health, or support from a loving family. The funds raised from Challenge of Challenges will be used throughout Hampshire and Isle of Wight to provide services such as free school holiday activities, respite for young carers, inclusion support for children with additional needs, activity clubs for isolated older people, and personal support for young people at risk of homelessness.